The tropical storm struck Texas over the weekend (26-27Aug17) resulting in widespread flooding and devastation, with the Houston metropolitan area hit particularly hard. On Wednesday (30Aug17), the storm made landfall again, dumping rain on parts of Texas and Louisiana, and leaving a reported 22 people dead. According to TMZ, Texas native Bun B is looking to team up with the organisers of Ariana Grande's One Love Manchester benefit to stage a telethon to help the victims of the storm. Reports suggest the event will take place on 12 September (17). 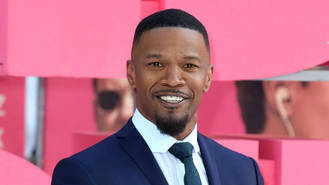 Texas native Foxx announced the telethon on his Instagram page and also revealed he donated $25,000 (GBP19,350) to GlobalGiving's Hurricane Harvey Relief Fund. "Texas hang in there," he wrote in a caption for the video. "Sending love prayers and finance.... #texasboy." The actor revealed further details about the telethon will be released in the near future. In addition to the planned telethon, country band Florida Georgia Line are hosting a fundraiser at their Nashville, Tennessee restaurant FGL House on Wednesday (30Aug17). The event will take place during the broadcast of their CMT Crossroads show with the Backstreet Boys and proceeds will benefit the American Red Cross. Viewing parties will be set up at the restaurant and Red Cross organisers will be on hand to assist with donations. Several celebrities including Sandra Bullock, Kevin Hart, Chris Brown, Jennifer Lopez, and Dwayne 'The Rock' Johnson have stepped forward to lend their support and donate over $1 million (GBP773,900) collectively to relief efforts, while country legend George Strait is also planning a "relief effort event".